If you could talk to your idealized future self and understand how you became that person, what do you think your future self would tell you? What changes would you have to make to become your ideal self? 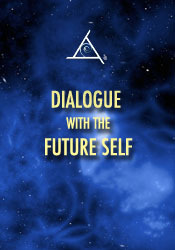 In this session, Bashar explores the process of communicating with your future self to receive the answers and guidance you need and gives the group an assignment. Q&A includes: interactions with angels and the Essassani, Can a blind girl become sighted? Winning the lottery, redefining success and security, communicating with a deceased pet, exploring the use of psychedelics, acting on specific excitement, oversouls and being a good parent, life themes people explore, the process of ascension. Becoming a healer, issues around having a child, negotiating with the ego, will and prayer, redefining abundance, how to change negative beliefs, questions about dealing with a lawsuit, the difference between believing and knowing, how to say "I Love You" in the Essassani language, having a career without guilt when you have children, a description of Essassani and planets that have atmospheres like Earth; can life themes change? ; the definition of power and excitement and cosmic fusion and more!